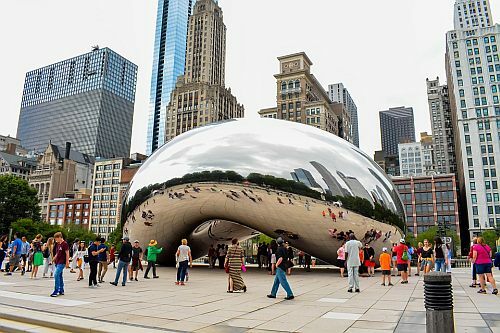 United Airlines is showing a few non-stop flights from Halifax to Chicago, Illinois in June for $254 to $269 CAD roundtrip including taxes! Non-stop flights from Halifax to Chicago are normally *very* expensive. Have a look on Google Flights to see what they typically go for. Paying $700+ for a roundtrip flight is not uncommon. Jun 11 to Jun 18 -- new! Jun 13 to Jun 18 -- new! Jun 15 to Jun 18 -- new! Looks like Continental has drastically dropped the price of a last minute flight from Halifax to Newark (EWR) this upcoming weekend. 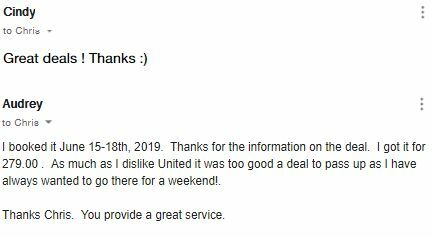 Yes, there are some more of those cheap last minute flights to Chicago on United (direct each way). They're about 50% cheaper than the cheapest flights to Chicago normally cost from Halifax. If you've ever tried to fly to Chicago from Halifax, you know that the cheapest flights are usually around $650 roundtrip after tax. It's an expensive city to get to.